CoWork Westchester in New Rochelle, New York offers shared office spaces and co-working workspaces. Initial Site Documentation and Information Gathering is about to Change. Documentation is a critical for any new project. Stakeholders such as the general contractor and the owner need documentation to verify construction is being performed to standards and according to design. Verification based on good documentation lowers the amount of rework​ due to error. Finally, when the building is complete the facility manager can review documentation to find critical maintenance information and save them valuable time and money. 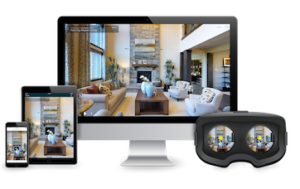 A ShowcasePros project offers an immersive and interactive 3D experience that’s easier to manage than thousands of 2D photos. Whether we’re talking hospitality, multifamily or #AEC, connectivity is king! Booking a trip from your mobile device, or touring a property from the comfort of your own home doesn’t just have it’s perks – it’s becoming the standard.